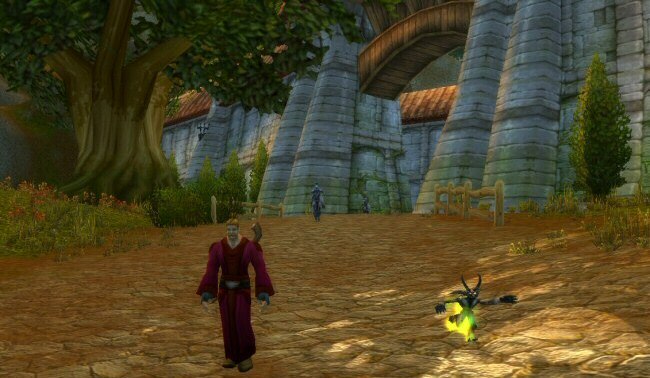 Norman "Dethbringerr" Warlock and Gobstab his faithful demonic companion have just finished Northshire, the newbie human area of World of Warcraft. (Pre-Cataclysm.) No matter which race you pick, the game will start you out in a little penned-in area for your first five levels. Then it cuts you loose in a larger area for levels 6-10. Outside of the newbie areas the game stops coddling you. Monsters will attack you. You'll have lot of quests going at once. You'll probably be doing some professions. Lots of running. 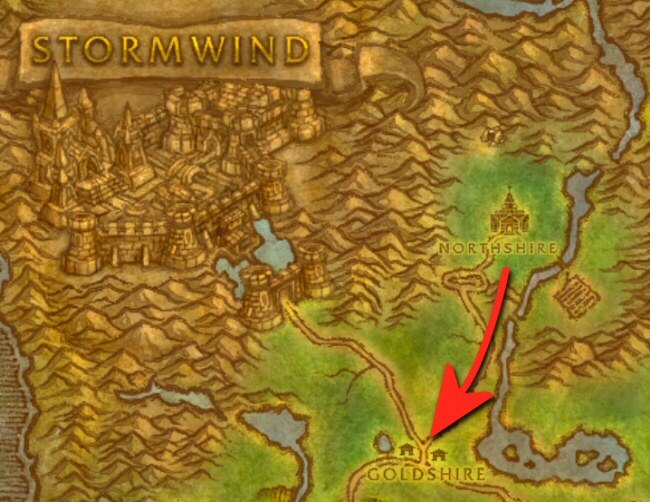 "So what's so bad about Goldshire?" I ask once we've left the church behind. "Is it haunted or something?" "Goldshire is an insane asylum," Norman says grimly. "You mean they got a bunch of nutjobs all locked up?" "They don't need to lock them up. They come here on their own. From all over the world. They come here to fight each other and talk nonsense." I've written about Goldshire before. And here is a perfectly unsurprising bit of news from Goldshire. 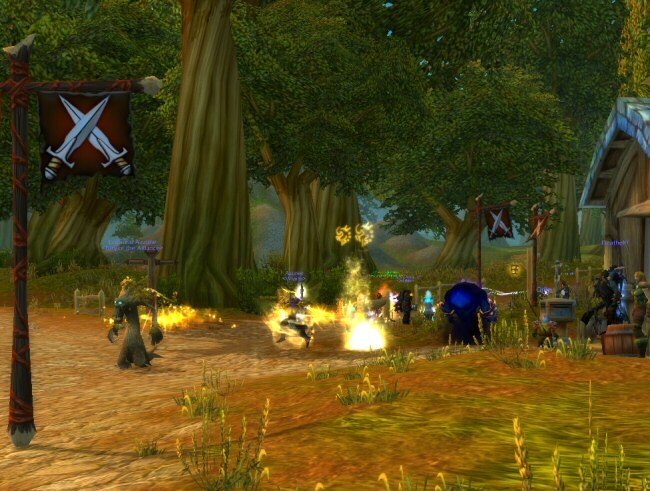 Horde-side players will tell you that players act like nutters in Barrens Chat, but having seen both on multiple servers I can tell you that Barrens Chat is like the Council of Elrond compared to the Nutjob Sundae they serve in Goldshire. Just for fun: In this entry, all of the dialog between other players will be in bold, and will be actual stuff people typed to each other while roleplaying in Goldshire. The names have been changed to protect the insane. "So what made them crazy?" I ask. Norman shrugs, "Nobody knows, really. These are powerful adventurers. Sometimes they go out to Northrend and come back like this. Maybe they get out there to the edge of the world and realize there's nothing there. Drives them crazy." I can feel the ground shaking a bit and there's the smell of something burning. I can see flashes of light on the road up ahead. "Anyway, watch yourself. This place can be dangerous," Norman warns. "No big deal to me. I'm immortal." "Well then watch out for me, because I'm not." We arrive to find all-out war. Fire is raining down from the sky and robed figures are flinging exotic flavors of magic from their fingertips. There is the thunder of man-sized swords striking shield and hewing armor. Battlecries echo above the tumult. "Looks like the town is under attack," I say.